I have a love/hate relationship with self-tanner. On the one side, it hides imperfections and provides a healthy glow, on the other side, it can look completely unnatural and splotchy and rival the smell of a toxic chemical spill. Nevertheless, like a cookie in my pantry, I can’t seem to leave it alone. The first time I used self-tanner I was eleven years old and in fifth grade. And let me tell you, self-tanner has come a long way in the last thirteen years, and so has my knowledge of it. I always have friends ask me if I know of any good brands for self-tanning and since I currently have 4 different kinds at my house, I figured it would be worth some kicks to do a little experiment. Tape on calves = not a flattering look. From here, I applied a different self-tanner in every stripe.This is what it looked like right after I had applied each tanner. 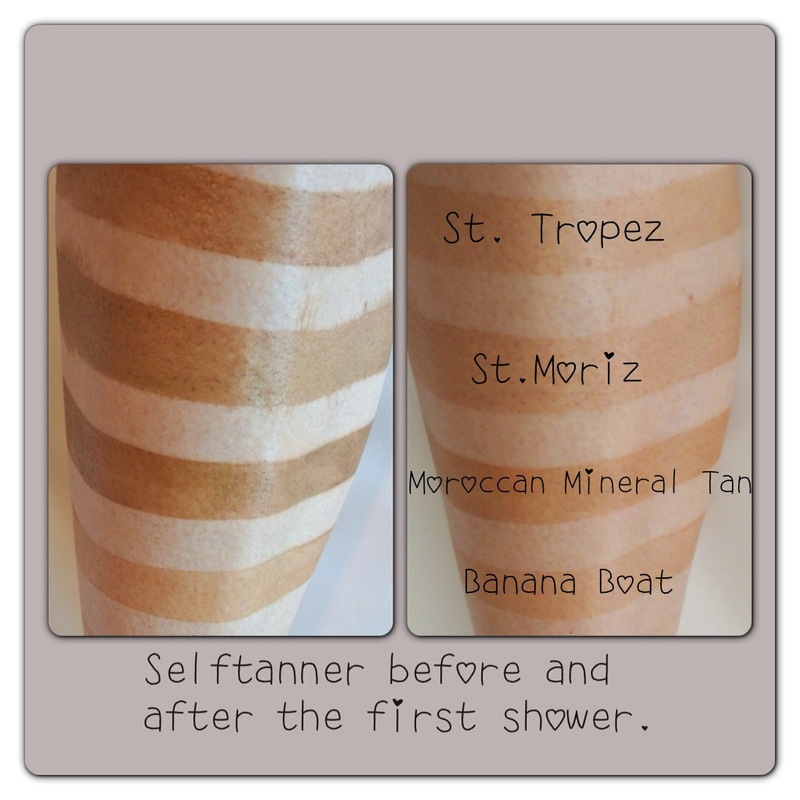 Now you have probably heard the phrase, “Don’t judge a book by it’s cover.” Well, I have my own little phrase, “Don’t judge a self-tanner before the first shower.” Some tanners, like the version of St. Tropez I used, are meant to be put on at night and washed off in the morning to reveal a beautiful color. It’s generally a good idea to shower before you head anywhere after using self-tanner anyway because if you get wet at all, the color will run and that can turn into some pretty awkward situations (though not quite as awkward as the leg stripes I’ll be sporting for the next week). You will note that most of the colors faded a little, which was good because some were way too dark. You want to look sun-kissed, not like you are trying to change your ethnicity. I have learned that moderation can be key. When people started asking me questions like, “Are you Mexican or Italian?” I knew I needed to lay off the self-tanner a little (and the black hair dye). 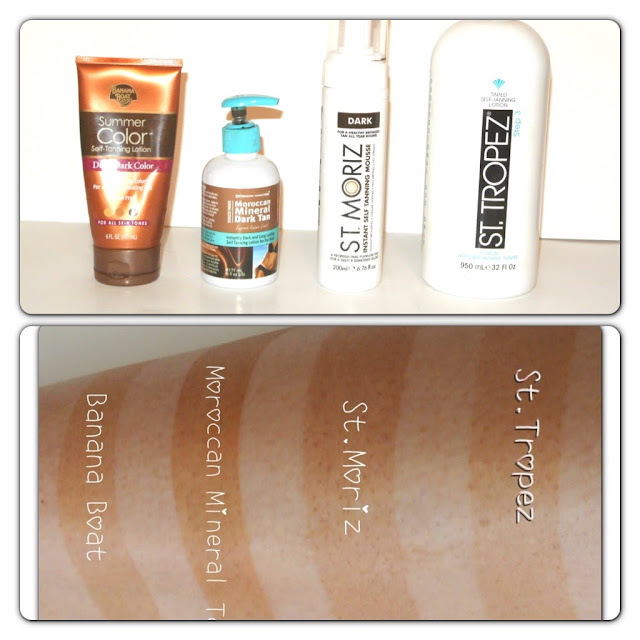 If you are really fair, you may want to dilute your self-tanner with a light, mild lotion to get a more natural glow. Or, you might just want to embrace your natural pale beauty. Self-tanner can be a hassle and there’s nothing wrong with being fair! St. Tropez Bronzing Lotion, $42 for 8 oz. This is a great self-tanner, but is incredibly expensive. You slather it on like a thick layer of mud and you will look ridiculous until to rinse it off. It’s best used at night, as you won’t be moving around (it takes forever to try) or in public–where people can see you. The color is beautiful, but there is a certain after-smell the next day, even after showering. There’s no doubt it works, but the price is a huge downer. Verdict: Great tanner, crappy price. This is a great knock off of the St. Tropez’s line of mousse tanners. It blends easily, and dries quickly and you don’t look nearly as ridiculous as it’s drying as you do with the St. Tropez Lotion (though I bet the St. Tropez mousse is similar). It develops into a nice color, though it still has the after-smell the next day. It fades gradually, and naturally. It’s one of my favorites. It’s actually only about $4-5 dollars, but is only sold in the UK so with shipping it comes out to about $10. Verdict: Favorite. I bought this because it was marketed to be a cheaper version of St. Tropez, however; it is still pretty pricey. I find it to be horribly splotchy and way too dark to look natural. Though it does have a decent scent, it still has the infamous after-scent. This one is my least favorite. It’s also the tanner I’m wearing in this post where you can clearly see how splotchy it is. Verdict: too dark and too splotchy. Fiscally speaking, this one is the best deal. It has a light apple-ly scent and develops into a pretty believable color. It’s a good bang for your buck. As with all self-tanners, it has the after scent, though a little more mild. You have to be extra careful when applying and really rub it in well, but stopping before it gets dry and starts to roll off. The color is lighter too, which is nice if you want to jump into it gradually. Another nice thing about it is that it doesn’t have a crazy dark look after the first application, as you can tell in the before and after picture above, it’s the same color before and after the first shower. Verdict: worth every penny. I hope this helps for those of you who are looking! One that is missing from this list, but that I also love is L’oreal Sublime Bronze, that stuff is great too, I just didn’t have any at home. Let me know if you use something that’s not on this list that you like. such a thorough, informative, and CREATIVE review!! would you consider reviewing fake bake flawless? I feel like the color is gone after the first shower which is a bummer because the smell is the best I’ve ever came across and the color guard is a really gorgeous color. I’ve gone two bottles and yet the color after the first shower let’s me down every time! I guess I just buy it for the color gurard and smell itself lol. 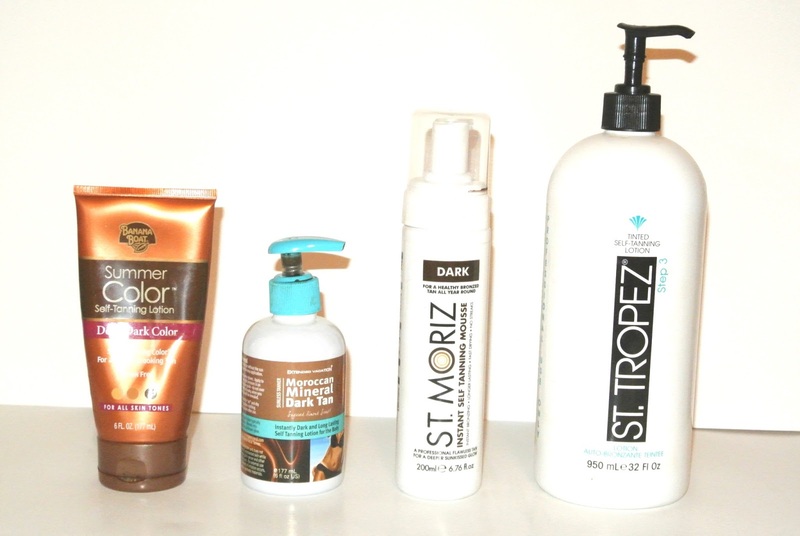 Hi Anny and Kara, I did a similar review with a few tanners – including Fake Bake. Long story short, I love Fake Bake. I think you get one of the best values for your buck because it is one of the most subtle yet BROWN looking colors. A lot of people describe their tans as “golden” or “honey” colored. To me, that means YELLOW! And to avoid that, I usually go to Fake Bake. I’ve read about Fake Bake and almost bought it. I’ll have to check out your review. Thanks for the information!